Please note that this website is a tourism guide and only provides visa and immigration information for tourists visiting Dubai for a short vacation. We do not offer any information about visas for residence, work, business, or family visits. Please do not request ask information about these types of visas in the comments section. They will not be approved or answered. We update this page as frequently as possible and believe it to be correct at the time of writing (June 2017). We advise you to double check with reliable sources before making any travel plans (please see the section about reliable websites and inaccurate immigration information on official Dubai websites). If any information on this page is incorrect, please leave a comment so that we can correct it. All tourists, with the exception of GCC nationals (except Qatar), require a visa to visit Dubai. However, the nationals of many countries can obtain a free visa on arrival in Dubai. Israeli nationals are not permitted to enter Dubai or the United Arab Emirates. At the time of writing (June 2017) the UAE has suspended diplomatic relations with Qatar (a GCC country). Holders of Qatari passports are not allowed to enter Dubai or the United Arab Emirates. Citizens of GCC (Gulf Cooperation Council) countries (Bahrain, Kuwait, Qatar, Oman, Saudi Arabia, and the United Arab Emirates) do not need a visa to travel to Dubai. Nationals of many countries can obtain a visa on arrival in Dubai. See the table at the end of this page for a complete list. In May 2017 the EU and the United Arab Emirates signed a short-stay visa waiver agreement in Brussels. The agreement allows for visa-free travel for citizens of Schengen countries to the United Arab Emirates. They can stay for 90 days in a 180 day period. 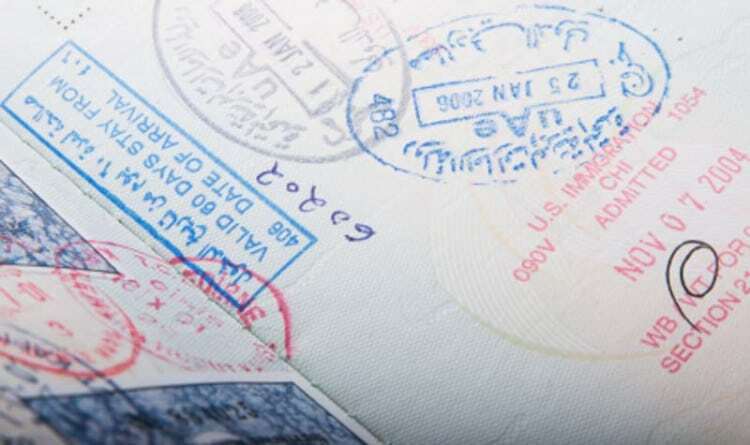 Citizens of many other countries are entitled to a 30-day visa on arrival. These countries include Australia, Canada, China, Hong Kong, Ireland, Japan, Malaysia, Monaco, New Zealand, Russia, Singapore, and the US. Effective June 2017, Indians with a valid US visa or Green Card, can obtain a 14-day visa on arrival. Tourists not falling into one of the categories need above to get a local sponsor to apply for their visa on their behalf. Valid sponsors include hotels in Dubai and UAE-based airlines such as Emirates, Air Arabia, Etihad, and flydubai. Official Dubai websites are notoriously unreliable. Many official government sites contain out of date visa information. 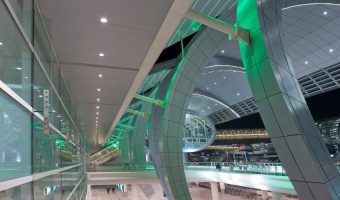 For example new visa rules were introduced in March 2017 allowing citizens of India with a valid US visa or green card to be issued with a visa on arrival in the UAE. At the time of writing (June 2017) this was not included on many official websites Visit Dubai, the official Dubai tourism website. The most reliable website we have found for Dubai visa information is Emirates. This is almost certainly because they are a UAE-based airline and visa sponsor. Consequently they are processing a large number of visas for their passengers and need the correct information on their website. The table below summarises the Dubai/UAE tourist visa requirements for citizens of each of the 193 nations that are members of the United Nations. Additional visa rules are given for citizens of the Vatican (a UN observer state) and Hong Kong (a special administrative region of China). We only provide information regarding tourist visas. We believe the visa rules to be correct at the time of writing (June 2017). Please note that visa rules change frequently. We bear no responsibility for the accuracy of this information. Please check using a reliable source (see previous section) before making any travel plans. If you notice any information on this page is incorrect, please leave a message in the comments section below. Armenia Press articles dated March 2017 stating UAE and Armenia agreed on visa on arrival. However, no information about this at June 2017 on Emirates website, GDRFA website, or Timatic. Agreement possibly not ratified at June 2017. Bahamas Yes Mutual visa agreement effective December 2016. Brazil Press articles dated March 2017 stating UAE and Brazil agreed on visa on arrival. However, no information about this at June 2017 on Emirates website, GDRFA website, or Timatic. Agreement possibly not ratified at June 2017. China Yes Agreement announced September 2016. Costa Rica Press articles dated January 2017 stating UAE and Costa Rica agreed on visa on arrival. However, no information about this at June 2017 on Emirates website, GDRFA website, or Timatic. Agreement possibly not ratified at June 2017. India Yes Effective March 2017 Indian passport holders with an American visa or Green Card can obtain at 14-Day visa on arrival. Israel N/A N/A N/A N/A Israeli passport holders not permitted to enter to Dubai. Kazakhstan Press articles dated May 2017 stating UAE and Kazakhstan agreed on visa on arrival. However, no information about this at June 2017 on Emirates website, GDRFA website, or Timatic. Agreement possibly not ratified at June 2017. Qatar N/A N/A N/A N/A GCC country. However as at June 2017 the UAE has banned those holding Qatari passports from travelling to or transiting through the UAE. Russian Federation Yes Russians granted 30-day visa on arrival effective January 2017. Saudi Arabia Yes GCC country. Seychelles Yes Visa agreement effective from July 2015. United Arab Emirates Yes GCC country. I am a Kenya passport holder, with a long term 10 years UK business visas. They are expiring in 2022. I am going to UK for business in August 2018, and wish to visit Dubai on my return to Kenya from UK. Do I get a free tourist visa on arrival to visit Dubai for a week ? I am Ugandan. My brother is working in Abu Dhabi. I want to visit him but they asking 1300 aed. Is it true I have to pay that amount for a 90 day visa? I am from Nepal, currently working in UN in South Sudan. I am a Nepal government employee. Can I get on arrival visa to visit Dubai? I hold a valid residence permit card of Norway but I have Pakistani passport and am planning to visit Dubai with my family. But both my husband and daughter hold Norwegian passport. 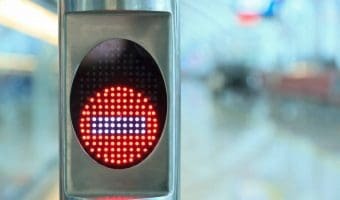 Do I get visa on arrival or I have to apply before travel? My son is 17 years and he has a visa for Dubai. He wants to visit Dubai from 5th July to 11th July. Are there any age restrictions for entry in Dubai? If yes then is it possible that he can enter with the authority letter from parents. I understand that Indian passport holders with a Schengen residence (permanent residence) should be able to have visa on arrival as of September 2017. Is this correct? Can a friend from Cuba come to visit me in Dubai?! I am an expat resident in Dubai. If so, what is the procedure for the visa? And how many days can he stay? I am a Nigerian citizen and apparently an age limit was imposed on Nigerian citizens restricting single females under the age of 40 from travelling to Dubai if they’re unaccompanied by a person over the age of 40 with the same last name. Is this true? I am German national. my wife is Thai national with German residency. Does she needs a visa for a short, 2-night trip to Dubai? I am an Afghan citizen with green card and married to a US citizen. My husband and I both are traveling and we have a 16 hour layover at the airport. Can I have an arrival visa to Dubai so we can get out of the airport? UAE has a new ban on issuance of visa for Afghan citizens effective June 2017? Is there any update when this will be lifted? I am an Indian national professional doctor working in Bahrain with a valid residence permit for 2 years. I also hold a valid American visa for 10 years. Do I need a visa to come to Dubai for 3 days. Only I was told that if I have a valid American visa automatically Dubai visa will be granted on arrival. Can you clarify this as I need to travel on Saturday? Sorry, for the late reply. But for anybody else reading this, Indians with a US visa or green card now get a 14-day visa on arrival in Dubai. My mother was working in Israel, now she is in India. The Israel visa on the passport is cancelled. she can visit Dubai without any problems? Please advise regarding today’s news in Australia that Chinese citizens get a 30 day visa on arrival. Yes. Chinese passport holders now get a 30-day visa on arrival in Dubai. We’ve updated the text. I heard a few months ago that EU citizens will now get 3 months visa upon arrival instead of one month. Is this true? Yes. Schengen country citizens now get 90 days. The tourist visa on arrival for French nationals is 90 days, to be used within 180 days. I am mexican citizen I live in USA. I will like to visit Dubai and work. What do I need to do?? Mexican citizen should take visa before arrival. I just wanted to know if there is any visa restriction on Dubai for Palestine passport holder ? YES. PALESTINE PASSPORT HOLDER CANNOT APPLY FOR UAE VISIT VISA. It is written above that tourist visa is provided ‘free’ on arrival for all eligible passengers or tourists . Actually a fee of UAE Dirhams 180 or 200 is charged from the expatriates having Saudi Iqama form many years. Please correct this info. Thanks. Dubai has strict customs regulations. The punishments for importing illegal drugs and restricted medicines can be very severe. Dubai International Airport opened in 1960 and is the busiest airport in the Middle East.